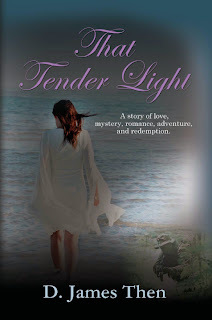 That Tender Light is a magnificent story that touches the heart, captures the imagination, and explores the redemptive qualities of love and faith. The nation’s best investigative reporter, Lockwood McGuire, is asked to find missing novelist Jack Taylor, a Medal of Honor recipient, who disappeared in 1986 without leaving a clue as to his whereabouts. McGuire’s search leads to a farm in Indiana where Missy Lee, a 98-year-old woman, lives with and protects mysterious secrets. One of those secrets is Taylor’s final, unpublished novel which describes his love affair with Lee’s niece Lily Veronica Hall, includes the story of a Canadian woman he loved and lost in Laos, is an account of his secret mission to assassinate several men in North Vietnam during the Vietnam War, and reveals for the first time his torture and escape as a POW. From a fateful meeting to a tortuous parting, the union between Lily and Jack is lyrical and touching. Lily is reticent to fall in love. Hurt once in an abusive marriage, the English professor fears losing the qualities that define her as a passionate, intelligent, independent, successful, and decisive woman. Jack Taylor fights his own demons and fears providence will destroy anyone he loves as retribution for the rapture he felt when killing in war. That Tender Light blends the push and tug of human interaction with mystery, romance, adventure, and redemption. Available also at Amazon.com, BarnesandNoble.com and at any bookstore with ISBN: 978-1-60910-734-5. Kindle version is available by clicking HERE. Also, available at booklocker.com.